Question Proposed on LinkedIn: Cover letters in the US and UK – your opinions? I’ve been asked to talk about cover letters for a podcast interview early next year but, although I have views about the best way to use them in the UK, I wonder what credibility they have in the US? All perspectives most welcome. Are they ever used as hard copy, or always sent by email? Are they used at all? 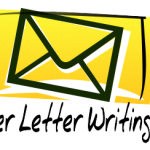 – Cover letters are often used, hardly ever as hard copy, as we live in a digital world, and most correspondence and sending of resumes is done electronically, not through snail mail. This biggest mistake candidates are guilty of is writing too long a cover letter, as if hiring managers have time to read a tome if those cover letters get read at all. A cover letter must be succinct and addressed to the person it is being sent to by name to be effective. The candidate should mention what position he is applying for in the specific company and mention both by name, the company and the job title, and state why he feels he is a good candidate for the position. What in his past experience makes him qualified to do this job, what added benefit can he bring to the company and what does he like about the company itself. The cover letter should be upbeat, show enthusiasm on the candidate’s part, give some background on the candidate and say all this in, at the most, three brief paragraphs. Absolutely no typos, grammar issues, misspellings are allowed. Close by saying in a positive manner that you hope to hear from them to set up an interview to further investigate the position. And that’s it. Some hiring managers read all cover letters, some pay no attention to them. But always include one. You just never know if or when it will be read. The simple 4 stage model I use with clients are: Say why you are writing (response to advert or speculative approach), Introduce yourself (state you current position), Sell yourself (short marketing pitch), Say what you want to happen next ( I am not sure that “I hope to hear from you” for a speculative approach would be productive as this is putting the responsibility on the employer to take action, but would include a statement along the lines “I will ring you in the next 10 days to explore the possibility of arranging an informal meeting at a mutually convenient time when I can outline in more detail what I can offer your organisation”). I consider the covering letter the “tapas” to interest the reader to get them on to the “main course” which, of course is the CV. When I work with clients I do a lot of work on the “follow up” phone call looking at the possible responses from a recruiter and how to manage these effectively. Hope this helps. – Although you asked about the US and the UK, I want to add a Canadian perspective, although there’s hardly much difference. In a survey of Canadian HR practitioners and recruiters I conducted a couple of years ago, 50 percent said they wanted to see a cover letter, and the other 50% was a mix of ‘didn’t want to see one, or it didn’t matter’. My advice to job seekers is to send one anyway, since they don’t know which 50 percent wants to see them. One slight difference I notice in some Canadian and US cover letters is the ‘call-to-action’ paragraph. Some US job seekers (and a smaller degree of Canadians) state forthright that they will be following up the application with a call on a particular date. This can be viewed as proactive or presumptuous, depending on the company’s culture. However, in Canada, most employers state in their job postings that candidates should not call them. Some employers will go as far as stating at the end of job postings that “While we appreciate the interest of all applicants, only those selected for an interview will be contacted.” This is saying two things: “Don’t call us, we will call you”, and of course the obvious, “If you do not hear from us, you were not selected for an interview.” Although this piece does not relate to cover letters per se, it is a part of the application process. Just my toonies worth! – A trend we are seeing in the UK is employers and recruiters asking for candidates to dispense with covering letters, or ignoring them if they are sent as attachments. Is this happening anywhere else I wonder? – I know one level of government that asks candidates to include the cover letter and the resume – 3 pages – as one document. I also heard from someone in another government agency that they do not accept cover letters. Another thought: an email message could suffice as a cover letter. Begin with a strong subject line, or the title of the position; two or three short paragraphs, then conclude with an email signature with contact information. This makes it easy for a recruiter to decide whether to move forward with the candidate or to delete or throw it in ‘File 13’ – the garbage bin. – I’ve researched cover letters at length to ensure I provide the highest quality product to my clients. Today’s cover letter is a powerful sales tool. It must be strong and not “standard”. Here is the formula that I use: Address it to a specific individual. Strong opening statement that includes what you bring to the position you’re applying for. This is a better use of copy than just stating the position you’re applying for. Your cover letter should include at least one achievement/accomplishment that is relevant to the qualifications of the job. Second paragraph should highlight what differentiates you from the competition. Use keywords from the job listing if possible so it highlights a match of qualifications. Closing should be a call to action. “Please contact me so we can discuss the benefits I could bring to XXXX” I don’t recommend saying that you will follow up with the recipient–this is presumptuous and could leave a negative impression. Add a PS–this is always read. Always follow directions in the job listing. If hard copy is requested use mail. If electronic is requested them upload. – I think that is really good advice and pretty much sums up what I advise clients. The only addition I would add is that I advise clients to finish on a more positive note – something along the lines of ‘I’m confident I meet the requirements of the role and very much look forward to discussing my application with you’. Surprised though to hear that cover letters are becoming less valued. I think they add to an application, they are such a great introduction and an opportunity to market candidates. – I don’t have much to add to the excellent comments already posted. Having worked as a Recruiter in the UK and US I’d agree that the biggest difference is that US letters tend to be more “sales-y”. When I first started working in the US the brash confidence of the cover letters was a bit of a turn-off to my UK sensibilities but now it seems odd if a candidate doesn’t blow their own trumpet in a cover letter. I’ve been away from the UK for years now, but I’m assuming the differences still hold true. I happen to think follow up is essential. However, it doesn’t have to be a phone call, it can be a note expressing continued interest in the position either mailed (on nice stationery) or emailed directly. It may send a busy recruiter back to have a second look at your application. One thing not mentioned thus far is how to use a cover letter to explain questions raised in the resume. As a recruiter, I want to know about gaps in employment and reasons some jobs didn’t last long etc. A cover letter can be used to briefly explain these kinds of things. I also want the personality of the candidate to come through in a cover letter. Show me who you are. You’d be surprised what makes the difference sometimes. I’ve known employers to select resumes based on how close the candidate lives to the job site – especially in cases where there are many suitable candidates. If you live a fair distance away but have the ability to relocate closer if successful in the job application, point this out in the cover letter. In the past I have received resumes from people out of state with absolutely no explanation of how they propose to get to an interview let alone commute to work. If necessary address the “elephant in the room issue”. A recent grad who lacks relevant experience can point to internships and summer experiences in which they were able to pick up on things super quickly. An older worker can point to experiences that prove they are adaptable and willing to learn new things. Someone who has been unemployed for a while can mention all the positive and proactive things they have been doing while looking for work. A Military veteran can point to the relevance of their military training to the civilian world – punctuality, reliability, team orientation, ability to follow orders etc. A cover letter should always let the potential employer know how the candidate’s experience and traits will benefit them. The really difficult part is trying to do all this and make it as brief as possible!! Good luck with the podcast John. – My experience (previously as a recruiter) of cover letters is that the vast majority are pretty bland and add little value. I absolutely agree with Anne, the ones that got my interest are the ones that give me more than just a precis of the CV – they explained what someone could do specifically for me/the company and gave me a little insight into their personality. A good cover letter is all about sparking my interest so that I want to read your CV. On the flip side a badly written one with poor spelling/grammar will almost certainly get you screened out no matter how good your CV as a recruiting manager will quite rightly question the motivation of someone who evidently has not spell-checked their work! – I rarely read them when I was a recruiter but they’re necessary for the other half that does. And yes I know it was a bad habit. I’ve since learned from my “cut-throat, time is the factor, staffing” days.